Beautiful frame. My favorite profile. Always prompt delivery. I needed a subtle frame that set off the painting, yet wouldn't distract. This was the perfect frame. I particularly like the system of clamps that hold the artwork. Hello Sandra. 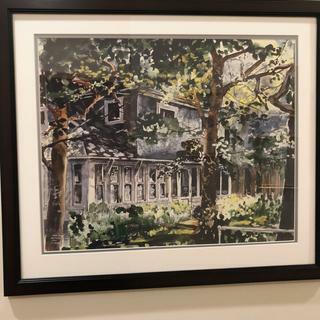 Thank you for considering us for your framing needs. We apologize for any issue with the order. If there is a concern with the Mat having a blemish from the frame, we are happy to send you a free replacement. If you would like to further discuss your order, please give us a call at 1-800-332-8884. We certainly want to present you with the best quality that you deserve. Thank you again for your business. I needed a narrow frame width. Purchased 2 in July 2013 and love them. Need another one to match. To match my kitchen cabinets. Looks like a nice color -hope to match some wood in the room the picture will go in. This frame has a classic style, yet doesn't detract from my paintings. I have chosen it because it appears to be a high qualify frame for an affordable price. It matched another framing project hanging near by. 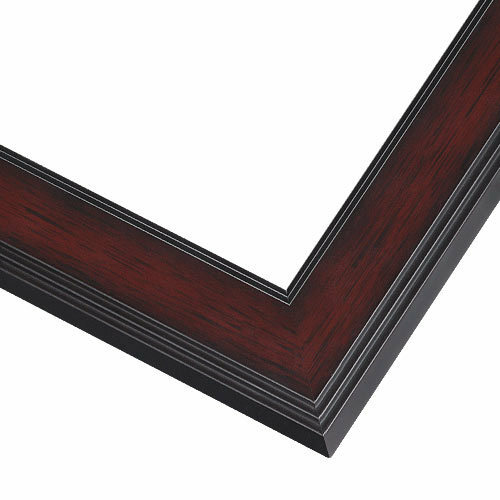 This is my favorite frame profile - simple and elegant, real wood. The narrow width looks good with smaller pieces. Is there wire on back to hang? BEST ANSWER: Clips are provided that snaps into the side of the frame but you have to provide the wire that connects the clips to allow you to hang it. The hanging wire and hardware will be supplied with the frame, but is NOT attached to the back of the frame. Thank you. Hardware is supplied to add wire. I simply drill a small hole on each side (about 1/3 down from top) and attach wire. Yes, hanging hardware (retainer clips, D-rings & wire) is included. No there is not a wire on the back. Does this frame fit something a little thicker like a canvas board? BEST ANSWER: Hello! Thank you so much for reaching out to us. This beautiful AR7 Frame has a depth/rabbet of 1/2" and will work with a canvas board with the depth of 1/2" or less. If you have any further questions, please give us a call at 1-800-332-8884. Have a creative day!